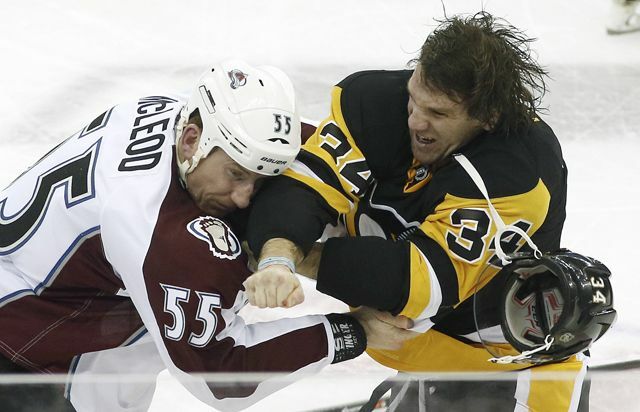 * Former Penguin Bobby Farnham is now a Devil, playing under former WBS Pens coach John Hynes. Right winger Farnham said he received “around 100” congratulatory texts and phone calls after he scored his first NHL goal and also got his first NHL assist in Saturday's game. Farnham, who was claimed off waivers from Pittsburgh over a week ago, said he received texts from some of his former Penguins' teammates, including Pascal Dupuis and Sidney Crosby. Penguins assistant GM and former Devil Bill Guerin also called to congratulate him. It was good to see Farnham get recognized for something other than his fists. He plays with passion and pride. We wish him the best. *The power play has had its growing pains this season but the Pens currently sit as the 5th best penalty kill in the league. The PK has had to find a new identity since losing some key players. Love him or hate him, Craig Adams was a fixture on the PK who fearlessly blocked pucks. 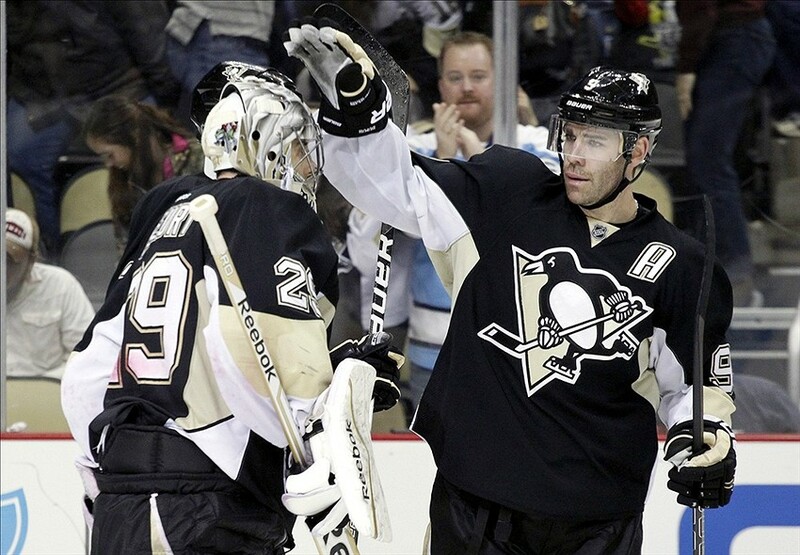 He and Brandon Sutter were reasons the Pens finished last season with the league’s third-ranked PK. This year’s unit has benefited from the much-maligned Rob Scuderi and Ben Lovejoy, as well as from guest appearances by Malkin and Crosby. And how about Eric Fehr scoring a shorty in his first time on the ice in a Penguin uni? Truly a thing of beauty. The PK boasts the talents of Matt Cullen and Nick Bonino, Ian Cole and Kris Letang, but my favorite penalty killer by far is Pascal Dupuis. He brings a zeal that elevates the whole unit. I love his focused intensity. Also stellar: Marc-Andre Fleury. You always hear that a team's goalie has to be their best penalty killer and Fleury certainly has been. * Speaking of our goalie; Marc-Andre Fleury snagged an assist, a penalty, and a shutout Saturday…..That’s an MAF hat trick. He now has a career total of 40 shutouts; the most of any goalie in Penguin history. There has been very little chatter resonating from the sale of the Pittsburgh Penguins, but Penguins co-owner Ron Burkle could remain a power player in the NHL after a sale. Burkle, 62, recently invested $30 million and became chairman of the board of Relativity Sports, which is ranked by Forbes as the third most powerful player representation agency in sports behind CAA and Boras Corp. According to Sports Business Journal, Burkle would like to expand Relativity’s focus into hockey. NHL rules prevent Burkle from simultaneously owning a team and also representing players. In June, the Penguins retained Morgan Stanley to help oversee a sale, which is believed to have two interested parties. The Penguins referred comment on Burkle’s involvement with Relativity Sports to his firm, Yucaipa Companies, which did not return our request.